Some reasons to enroll architecture studies and some more to do so at Vallès Architecture School. Spend a while to get to know us in detail before making a decision for your next year. The architect's field of action has clearly changed, to the extent that we can define an emerging figure; a new kind of transversal architect — a professional with a great social commitment, environmental responsibility and the ability to expand her/his traditional attributions. A transversal architect ready to work in participatory and interdisciplinary processes, involved with society and territory; a valued professional at home and abroad thanks to her/his sound five-plus-one-year curriculum. A comprehensive curriculum that gathers architectural and urban design, construction technology, environmental performance and representation tools needed to intervene in the built environment, transforming it in a responsible way. From a methodological standpoint, working with strategic projects stimulate this change of paradigm both in the training period and in the professional career of an architect. Strategic projects deal with inclusive and adaptive processes rather than producing monolithic objects, and help foster an architect who is able to modify her/his own profile over time. ETSAV is located — on the grounds of its position in the center of the Barcelona Metropolitan Region — right in the contemporary discussion upon the transformation of the built environment, territory management, and its adaptation to the social demand for sustainability. The Bachelor of Science in Architecture, GEArq, and the integrated Master of Architecture, MArq, — both in Catalan/Spanish — are focused in this complex yet stimulating formative profile that defines the transversal architect. Deepening and broadening these curricula, the Master of Science in Sustainable Built Environment, MISMeC — also in Spanish — is oriented towards a definition of habitability suitable to rebuild appropriate relationships with the existing city and landscape, involving its social metabolism, i.e. the interactions of natural and human systems. New relationships that compel our urban development towards a real efficiency in the resource and waste management. In addition, some other post-graduate degrees are offered in ETSAV through the UPC School. A master's degree in Parametric Design in Architecture, MPDA, — taught in English — training professionals in advanced architectural creation and a master's degree in Urban and Territorial Development, MDUT, — in Spanish — focused on the management and transformation of cities. The undergraduate syllabus has a unique integrated profile in the Architecture and project's studios (TAP). Those are the real axis of the teaching practice of our school. An educational space where the knowledge of the different disciplines converge and also where professors from different departments collaborate around the architectural project. The accumulated experience has allowed us to adapt this innovative model to the Integrated master's degree in architecture. Students will also work in real scale, in cooperation experiences, using methods of learning by doing — learning action-oriented — and with prototypes that are developed and constructed by student teams assessed by professors, like the one that has participated, in three occasions, in the International Architecture School competition Solar Decathlon Europe. In this case, this group has won two first prizes in architecture, one in innovation, and the third prize in urbanism. The internationalization grade at ETSAV is one of the highest in the UPC, with a 12,11% of students incoming, and 5,31% of students outgoing during the course 2014-2015. The school has mobility agreements with 51 European universities, 11 American universities, 1 Chinese university, and it is part of the SICUE program with 9 Spanish universities. Students can also choose to be part of an agreement for a double degree with the UniKORE, an agreement that gives access to the Italian state examination of architect and/or building engineer. 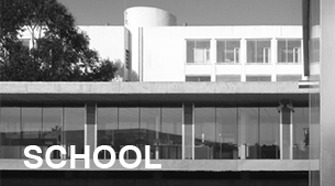 From August 2014, ETSAV is the permanent seat of the Illinois Architecture Abroad Program Barcelona-Vallès from the Illinois School of Architecture, with more than thirty American students based at Vallès, and an interesting agreement of annual scholarships to the States for ETSAV students. The Sant Cugat campus allows the teaching given to benefit from the established synergies between the school and its Research and Technology Transfer center, CRITT, that hosts until 12 projects directed by professors, with the collaboration of Ph.D.'s fellows and Degree and Master students. During the last few years, in the degree and master's workshops, learning is articulated around real and present issues through cooperation agreements with local administrations and other institutions through the CRAL, a specific research center that allows an approach to the teaching through the labour between professors and students, incorporating a social interlocutor to the discussion of proposals. ETSAV favors personal treatment between students and faculties — with a ratio of about 900 students per 100 faculties — and a continuous evaluation over the semester to get high academic performance. In the last academic year, the student achievement score was 84,09% in BSArch and 100% in MISMeC. 100 new students join the Bachelor of Science in Architecture every fall semester, with a workload of 300 ECTS credits in five years. The Master of Architecture also enrolls 60 students in the fall semester, and 40 in the spring semester. The Master in Sustainable Intervention holds 30 students every year, starting in the fall semester. They both have a workload of 60 ECTS credits in one year. The school offers internship and training opportunities in companies and public administration to BSArch seniors and master students. As a reference, during the academic year 2014-2015, almost 300 agreements were signed. ETSAV is also a partner of IAESTE, the international association for the exchange of students for technical experience. Architecture studies in the Universitat Politècnica de Catalunya, UPC, are ranked 22nd of the world and 8th in Europe, according to the QS World University Ranking by Subject 2018. 70 ongoing exchange programs in Spain, Europe, America, and Asia. Learning-oriented methodologies that encourage values, attitudes and working habits. Curricula oriented to new challenges on habitability, the transformation of the built environment and sustainability. Semester courses. Enrolment period for MArch opens both in September and February. Interdisciplinary integrated teaching in design studios, both in undergraduate and graduate syllabus. A high rate of studio-based learning subjects: 40 percent of BSArch and 87 percent of MArch. Small groups of students in studios, with a maximum of 20 students per group and professor. Continuous evaluation of student's work in all subjects. High academic performance, with a success rate of over 80 percent. In short, we invite you to join us in a school with a distinctive profile, focused on sustainable living, fostering a new kind of transversal architect, ready to respond to social challenges, to work in participatory and interdisciplinary processes, to transform the built environment. We also invite you to know some of the academic works developed in this learning atmosphere.